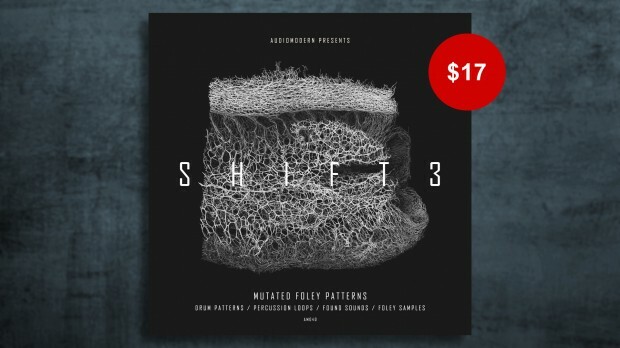 Audiomodern are back with the third and final volume of the series, SHIFT 3, bringing over 1.40 GB of content with cutting-edge loops, samples and kits fusing elements of future Electronica and Foley Sounds. Get Audiomodern Shift 3 Here ! From foley-infused drum loops to organic-electronic beats, top-loops, found sounds, one shot samples and more. All loops were mangled, chopped, stretched and twisted into unique loops ready to be dragged straight into your chosen DAW. All loops & samples are key and tempo-labelled for flexibility, and are 100% royalty free and come in 24 Bit Wav file format. This entry was posted in DontCrack, Sounds and tagged Audiomodern, Beats, Drums, Electronic, Electronica, Foley, Kits, Loops, One Shots, Organic, Samples, Shift 3. Bookmark the permalink.